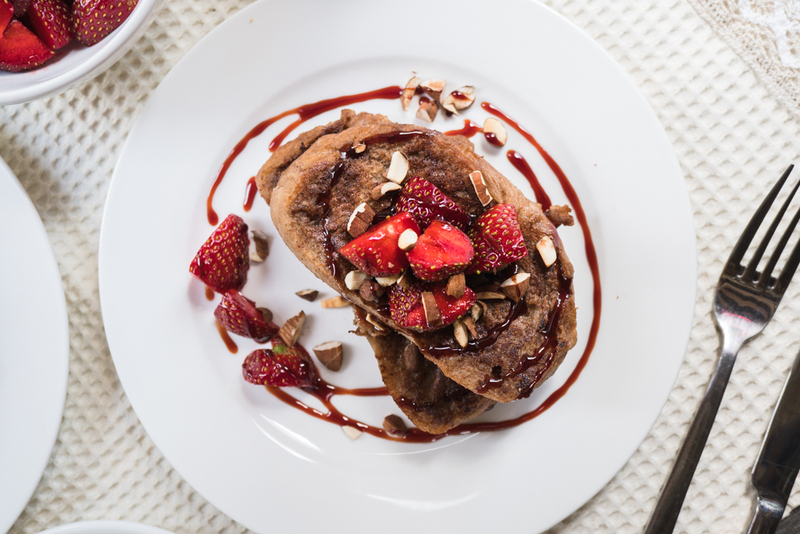 Moist, spongy yet crisp on the outside – this vegan banana French toast is just what you need for a filling and festive breakfast. And it’s very quick and easy to make too! 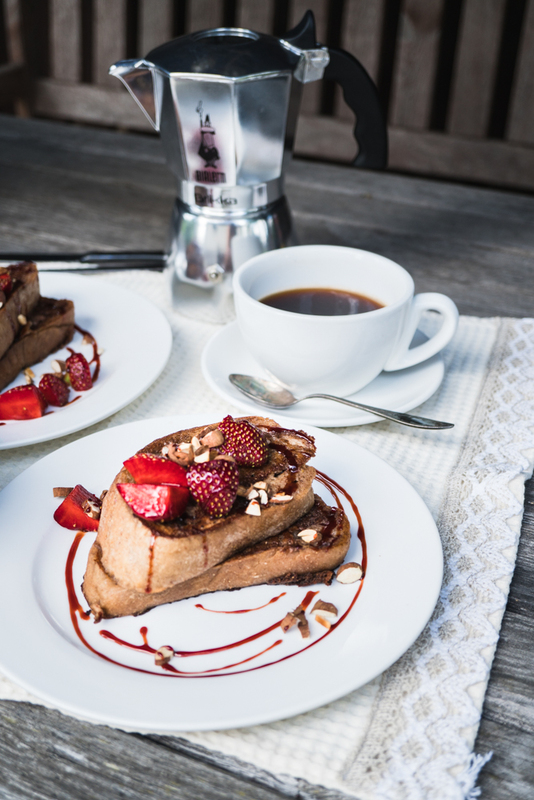 To add the final touch of French toast perfection, the toast is sprinkled with roasted almonds and topped with fresh strawberries. Oh, yum. 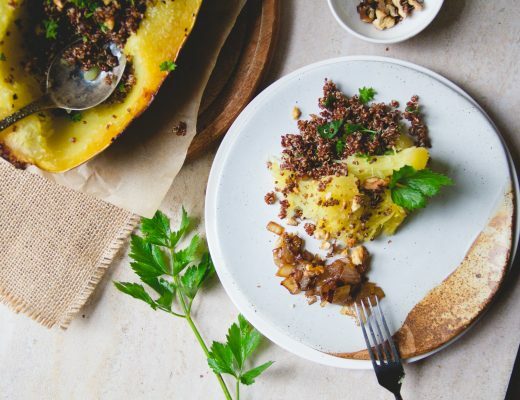 When it comes to making delicious vegan breakfast, it’s easy to get stuck in a rut. Has it ever happened to you? I too tend to make my same old favorite oatmeal every day. But on weekends I love to try something different for bringing some innovation into my kitchen and for having a longer and unrushed Sunday breakfast. 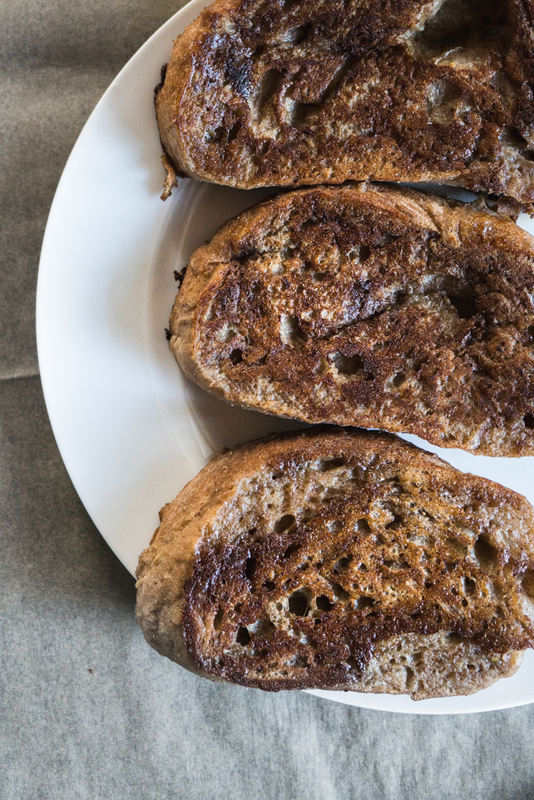 Making this French toast is incredibly easy. 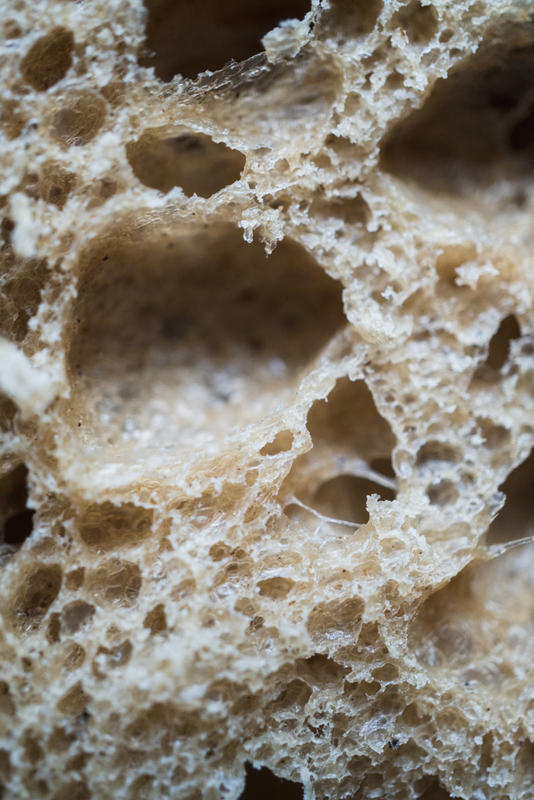 For the base, all it takes are a few slices of fresh bread, a banana, plant milk and some spices. 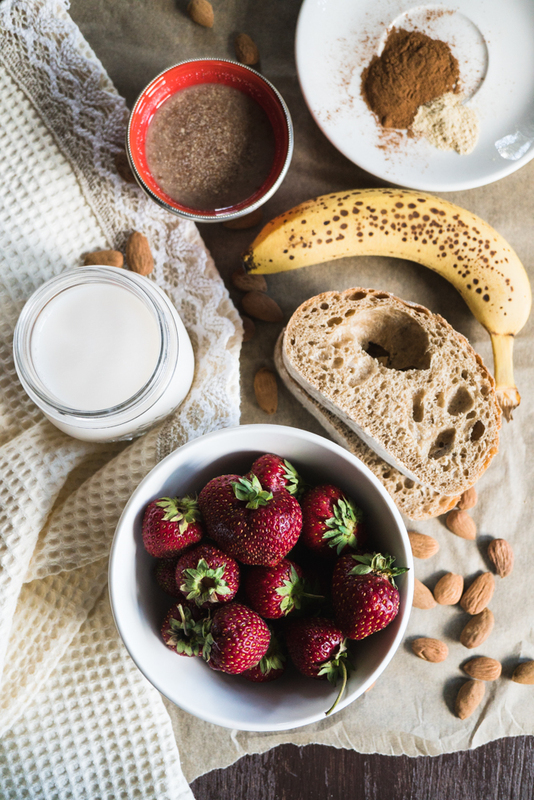 For toppings, I chose roasted almonds and fresh strawberries but feel free to experiment! 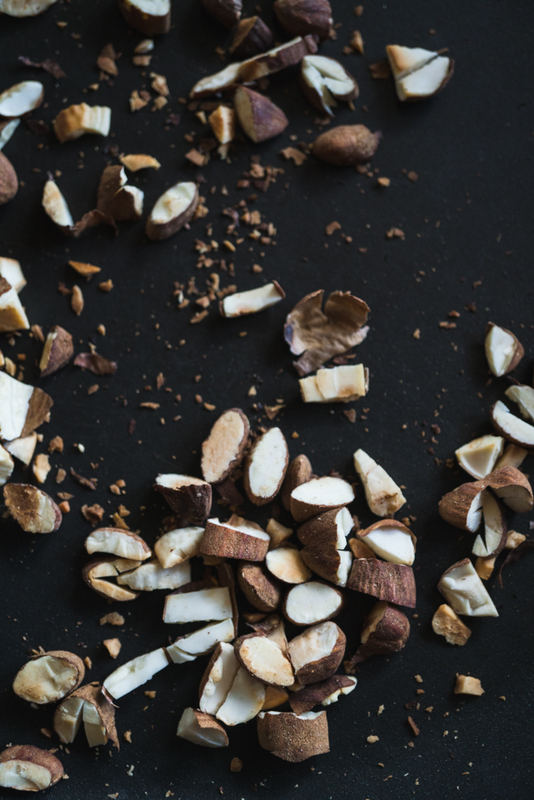 You can top this toast with other nuts like walnuts or cashews. And you can use other berries or your favorite fruits. Just pick something that’s in the season. 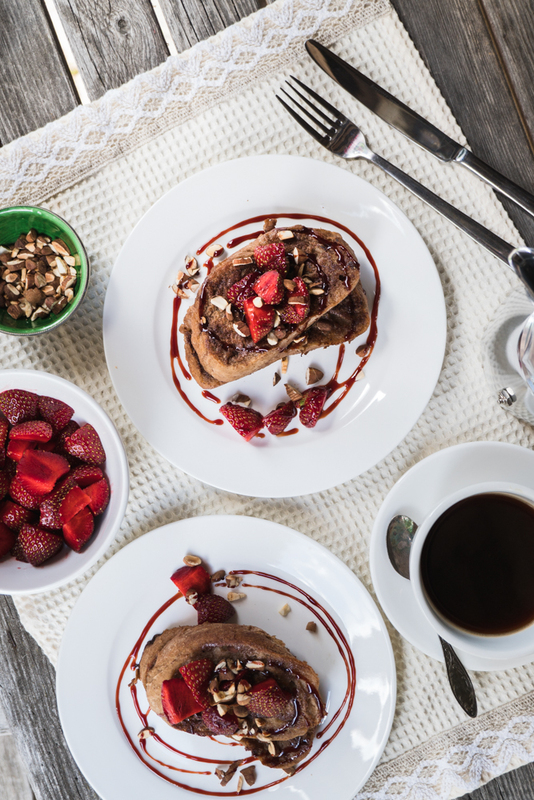 Strawberries add a healthy kick to these toasts. They’re filled with vitamin C that will keep inflammation and cold at bay. Several studies have shown that strawberries decrease the risk of heart attack and can greatly benefit your overall heart health. And they’re also great for your eye, skin and hair health. First, let’s roast the almonds. Heat a pan to medium heat, roughly chop the almonds and roast them for a couple of minutes until golden. Be sure not to leave them alone as they can burn quite easily! 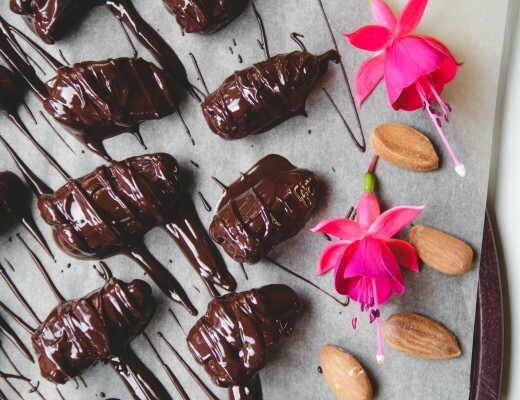 When the almonds are ready, set them aside. 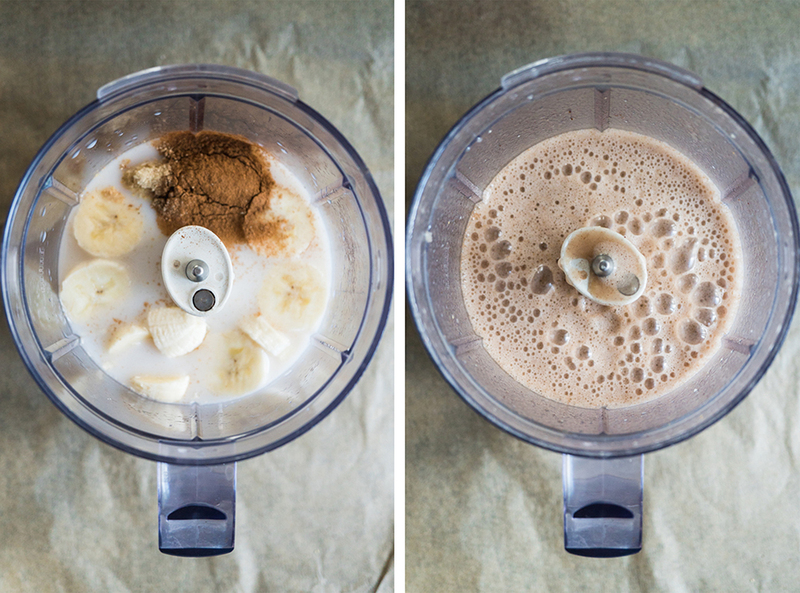 In a blender, combine rice milk, banana, vanilla, cinnamon, and ginger. Pour the mixture into a shallow dish, mix in the flax egg. Heat a pan to medium heat and sprinkle with some coconut oil. Dip each side of the slice of the bread into the banana mixture (let each side soak up the liquid for a couple of seconds) and put the slices on the pan. Cook for 2 to 4 minutes on each side until golden. Flip the bread carefully! 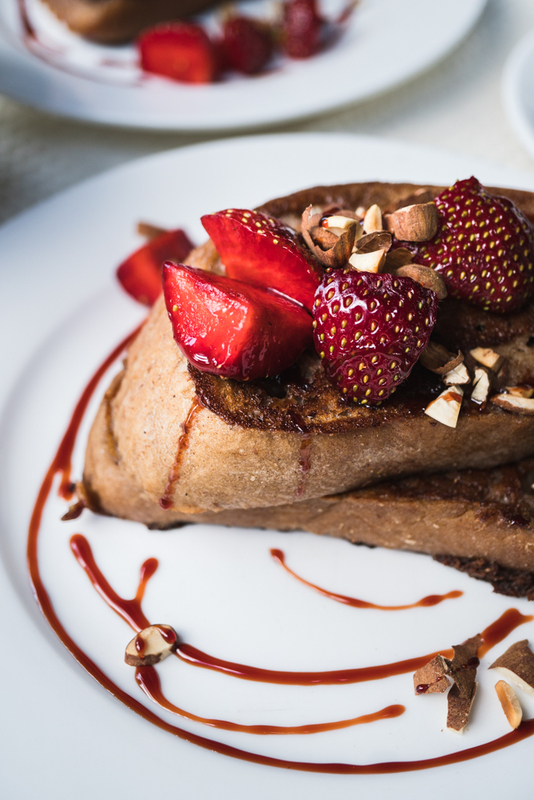 When ready, top the vegan banana French toast with fresh strawberries, roasted almonds, and drizzle with date syrup. 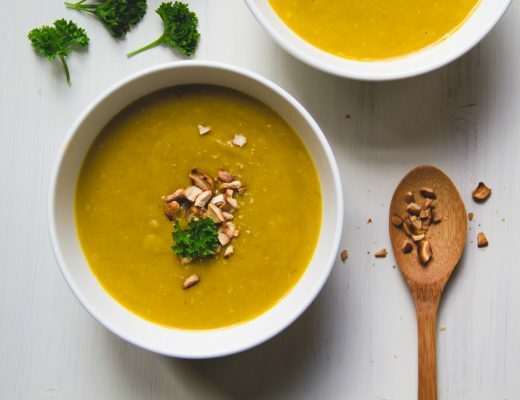 Recipe inspired by the beautiful creation from Minimalist Baker. * To make a flax egg, combine 1 tbsp of ground flax seeds with 3 tbsp of water and let the mixture sit for 10 minutes. Thank you, Sam! 🙂 Hope you’ll try the recipe!